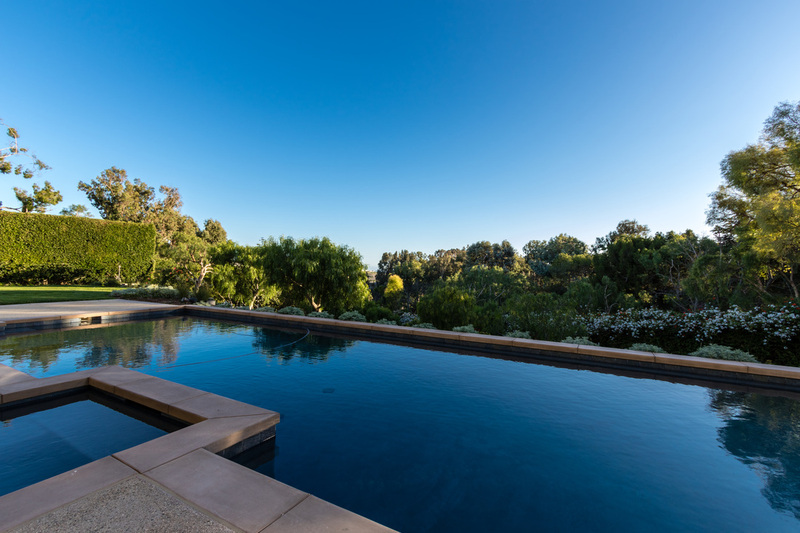 ​OVER 10,000 SQUARE FEET.5 BED | 8.5 BATH. POOL. JACUZZI. SAUNA. SPORTS COURT. THEATER. SMART HOME | NEST EQUIPPED. Please fill out the address of the home you are interested in finding out more information about. Reminiscent of a Monteceito Spanish Colonial, CASA de OLIVOS has been beautifully re-imagined with a casual, understated elegance. 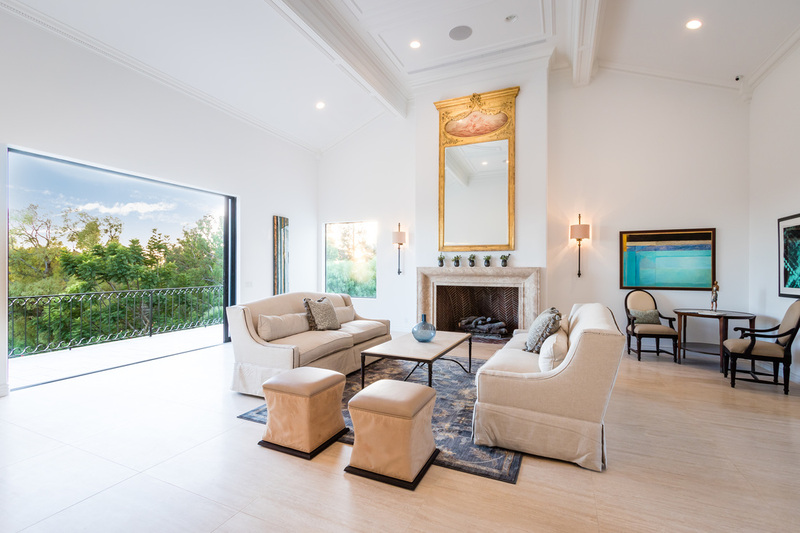 Soaring ceilings, honed travertine floors and an artisan crafted limestone mantle invite you in to this warm, yet impressive home. The light and bright chef's kitchen not only connects to an intimate breakfast room it opens up to an expansive family room with glazed mahogany cabinets and coffered ceiling. 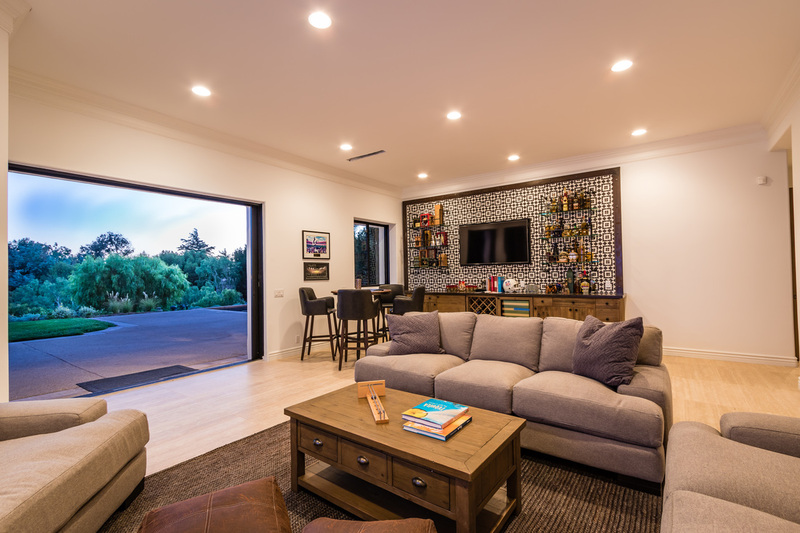 The entertaining space continues to the ocean facing decks with peeks of the Pacific and downstairs to the sports bar that opens on to the newly finished pool, grassy yard and sports court - and everyone will love the game room and theater. This home offers an upstairs master wing with office (or possible child's room) and two well-appointed baths, as well as, a lovely downstairs master suite. Three other bedrooms are also en-suite. Schools, shops, restaurants & beaches are nearby.